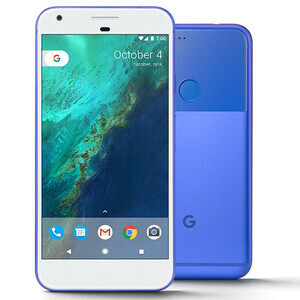 Based on data discovered in the Google Play Store, it is estimated that more than one million Pixel and Pixel XL handsets have been sold since the phones were launched last year. Google itself does not release information about individual phone shipments, but the Google Play Store does reveal how many times a certain app has been installed on an Android phone. These figures are listed in the Google Play Store in a wide range. For example, one app could show between 50,000 to 100,000 installs while another might show between 1 million and 5 million. For some time, Google listed 500,000 to 1,000,000 installations of the Pixel Launcher. That figure has just changed to a range between 1 to 5 million installations of the app. This has taken place seven months after the Pixel and Pixel XL were released. The launcher is an app offered exclusively to owners of the two Pixel handsets. As a result, tracking the number of times it has been installed can give us a reasonable estimate of the number of Pixel units purchased. And at this moment, that would appear to add up to approximately one million phones. To put this number in perspective, Samsung reportedly sold 5 million Galaxy S8 and Galaxy S8+ handsets after just 26 days. While it took 37 days in South Korea for the pair to sell one million units in that country, it took twice as many days for the Galaxy S7 and Galaxy S7 edge to hit the million sales mark last year. The LG G6 will have sold 2 million units in six months according to one estimate. While the Pixel wouldn't rank among the top selling Android models, there is enough support within Google to continue producing the line with sequels planned for this year. We should point out that the install numbers in the Google Play Store count as one install per account even if you've uninstalled and re-installed the app a number of times. Google would have more if they actually had the f***ing phones in stock. This is technically a Flop, with the amount of money spent on marketing ... Pixel 2 will be so late to the market and has to compete against the iPhone 8, Note 8, discounted Galaxy S8/S8+ , Oneplus 5 and super cheap HTC U11 and LG G6 (Since nobody buys LG and HTC) , can't see it being a win. They did mentioned the source and give them credit at the bottom of the article. So..What is so wrong with that? how is pointing out lazy fake news journalism annoying? actually a good example of annoying would your suk azz logo and "Trojan horse" name. wuz that a street name for your mother who carried around her own jimmy hatz? Who cares about the quantities until the reviews are good. Google and its shareholders care about the quantity. That's like hundreds of thousands of people. yeah, i've gotta say they probably would have sold more if they actually kept them in stock. In Canada they were easy to pick up and some carriers discontinued them quite early. The Apple shillness is pretty strong here though. We just have to deal. If it's not Apple, it won't sell. And Samsung sales aren't that great considering the amount of $$$, technology, marketing, and time they put into their devices. Can't blame Google for not spending the money to mass manufacture when it really isn't the time too. They can data mine until the Apple brand is weak enough to take a stab at. May not be for another 100 years but eventually. I assume Google does bother too much. What are they doing is slowly and steady testing waters. It is huge corporation that can afford it. I think they could have easily doubled that number in half the time if they simply had the inventory when it was first released. And the fact that Verizon was the only major wireless carrier in the States authorized to sell the device didn't help them either. Have the proper quantities on hand, and make it easy for all consumers to get the phone and it'll do so much better. @Phonehex - I think if you can sell 1M of ANY product, you are doing very well. @PrYmCHGOan. Why are using this account instead of techiexp1969. Your not banned are you? Just curious. When you have two of the most viewed websites and one of the strongest brands on the planet, you should be able to sell more than the OnePlus One sold even with the invite system in place.